Shoemaker Commercial is a full service commercial and investment real estate brokerage serving clients in Santa Cruz County and beyond for more than 38 years. Our Brokers are recognized as leaders in the Santa Cruz Commercial Real Estate market and as trusted advisers to our clients across the country. We are committed to the idea that information is power, and we believe that a client who obtains the strongest, most reliable, data has a distinct advantage. We work diligently to understand our clients’ needs, and we often see opportunities where other only see problems. Our focus on our clients, and our intimate knowledge of the local market and national trends, allows us to help our clients achieve their investment objectives. Our professional real estate team looks beyond the successful completion of any single transaction, and we dedicate our resources, knowledge and experience to meeting our clients’ ongoing real estate needs. 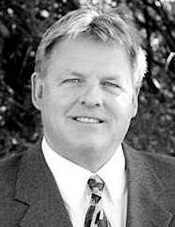 Chris Shoemaker, CCIM, a native of Santa Cruz County, specializes in the Sale, Leasing, and Exchange of commercial and investment property, with an emphasis on helping clients increase net worth through the acquisition, disposition, and exchange of income producing and development real estate. Chris has successfully represented buyers, sellers, and exchangers of various types of income producing properties throughout the United States. Chris has closed transactions in excess of $400,000,000.00 and is a trusted advisor to many long-term clients. 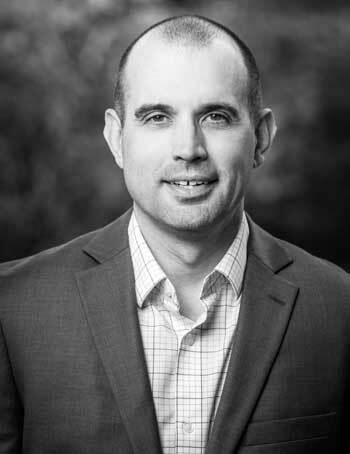 Before entering the field of commercial real estate, Chris spent eight years in education as both a Teacher of English at Harbor High School in Santa Cruz and also as the Head Men’s Basketball coach at Gavilan College in Gilroy. Chris possesses a Master’s degree in Physical Education from Saint Mary’s College, a Master’s degree in Education from Chapman University, a Bachelor’s degree in English from UC Davis, and a California Teaching Credential. Chris lives in Aptos with his family and spends his time away from work looking for beautiful places to fly fish for trout and working as an unpaid Uber driver for his kids. 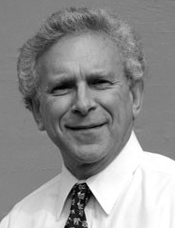 Ron Hirsch graduated from Portland State University with a degree in business administration and economics and attended graduate school at Cal State University Northridge. Ron established Hirsch and Associates in Santa Cruz County in 1978, with an office in Capitola for the past 38 years. Prior to that time he worked as an Economic Research Analyst for the Department of Employment, State of California. Ron’s emphasis has been in representing buyers and sellers of local investment properties. His expertise includes the sale, exchange and leasing of commercial and industrial buildings, office buildings, apartments, mobile home parks, RV parks, hotels and motels, business parks, shopping centers, retail stores and land. He has also represented local buyers in the purchase or exchange of properties in Arizona, Idaho, Nevada, Oregon and Washington. Ron has been awarded both the highest dollar amount of a single sale and the highest number of commercial and industrial sales by the Santa Cruz Association of Realtors. He is a graduate of Focus Agriculture of the Pajaro Valley and is currently on the Board of Directors of the Land Trust of Santa Cruz County, a nonprofit organization whose goal is to aid in the preservation of land with scenic, historic or recreational significance in Santa Cruz County. Chuck Griffen joined the firm in February 2016. Prior to joining Shoemaker Commercial, Chuck worked as a Sales Associate for Appenrodt Commercial Properties and started his career with JR Parrish Commercial Real Estate in 1997. Over the past 20 years, Chuck has represented sellers, buyers, tenants, and landlords in successful real estate transactions, both locally and throughout California. His clients include: Central Coast Alliance for Health, Partnership HealthPlan of California, American Dream Realty, K-Mart, Lend Lease, California Bank and Trust, Edward Jones, Montessori School, Bay Photo Lab, Ace Hardware, and Pacific Veterinary Specialists. Chuck’s experience, competitive edge, and reliable execution have made him a leader in the industry and he has closed over 120 million in sales over the past eight years. Past sales include the following: Cinema 9, Santa Cruz (82,523 sq. ft. retail and theater), Copart Inc. headquarters, Fairfield (104,000 sq. ft. class A office), Seagate Corporate Headquarters, Scotts Valley (141,128 sq. ft. three buildings), Seagate Campus, Scotts Valley (84,000 sq. ft. two buildings), Green Valley Tech Center, Scotts Valley (140,000 sq. ft. two buildings), 50,000 sq. ft. class A office building, Fairfield, 50,000 sq ft. Class A office building, Redding, 6.5 acres of vacant land, Fairfield (Green Valley Corporate Park) and Capitola Manor (26,000 sq ft. assisted living facility). In addition to his business endeavors, Chuck has been a past Domino’s Pizza Franchisee, with six Pizza locations, in Monterey and Santa Cruz Counties. Chuck was also on the Board of Directors of the California Restaurant Association, Santa Cruz Chapter.